Gedu police arrested two men separately at Jumja, Gedu, during routine highway checking on August 24 for possession of controlled substances. The first man was arrested at around 4 pm with 7,104 capsules of SP+. The 38 year old from Wangdue was travelling alone in his black alto car. This was the second time he was arrested with a huge consignment police said. 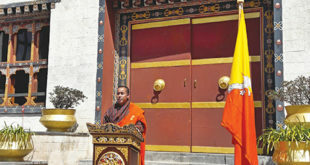 According to police, he is one of the main distributors operating from Dechencholing. The suspect said that he brought the consignment from across the border paying Nu 54,000. Half an hour later police arrested a 28-year-old man from Tsirang, who had in his possession, 8 capsules of SP+ and 4 tablets of N10. Police said that, since the seized quantity was below the quantity, they will be forwarding the suspect to BNCA for counseling. 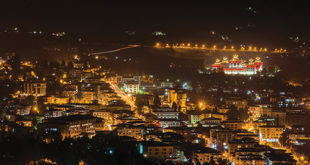 Meanwhile, Thimphu police apprehended 32 suspects in connection to illicit trafficking and abuse in the past 10 days. Of 32, 3 are female while the rest are men and 17 suspects were forwarded to BNCA. Those who are forwarded to BNCA are youths, below the age of 18 and those arrested with below liable quantity. In the past 10 days, Thimphu police seized 259 capsules of SP+, 30 tablets of N10, 44.91 grams of Puriya, 46.5 grams of Hashish and 760 ml of thinner.